ATHENS – Tax authorities in Greece have been blasted for their woeful performance in 2012, and the country has been told that the tax system needs to be changed right now in order for the country to draw itself out of its downward economic spiral. 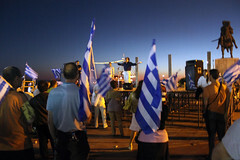 On February 27th a leaked upcoming joint report of the European Commission and the International Monetary Fund was released by an unknown “group of tax collectors”, labeling Greece’s efforts to collect taxes as “fragmented and muddled”, and claiming that the country’s attempts to improve the tax system have, so far, been ineffective and have been implemented in a piecemeal fashion. The EC and the IMF noted that one of the major weak points of the tax authorities is the continuing problem with finding, training and appointing appropriate personal, who, at the moment, are regarded as lacking in the essential skills required for their position due to being under-trained and under-qualified. Further, it was reported that the staff of the Greek tax authorities is not adequately paid, with an effective average salary of just more than one third of their equivalents in other OECD countries. In the report the EC and IMF also noted that in Greece’s current state, the country is unlikely to meets its own tax collections targets in 2013. In order to address the situation, Greece was recommended to take immediate and quantifiable action to improve its tax systems, and was also encouraged to take on as many as 200 new tax officers in 2013 and an additional 500 in 2014. If Greece can take the required action now to improve its tax system and the performance of the tax administration, the country may still be spared from having to introduce further slashes to welfare, social security and other austerity measures.